ASU’s chapter of the Society of Physics Students (SPS) received an Outstanding Chapter Award from the SPS National Council on Dec. 6 for the 16th year in a row. The award is the highest possible honor an SPS chapter can receive, and only 72 chapters out of more than 800 nationwide received it in 2017. It is offered only to the top 9% of all Society of Physics Students organizations in the country, Dr. Trey Holik, Physics Assistant Professor and SPS faculty adviser, said. Chapters are given the award based on "involvement in local, regional and national professional meetings, outreach to K-12 and the public and recruiting and retention efforts for new and current physics majors," Dr. Andrew Wallace, Physics Professor, said. This award shows that ASU reaches out to the community and inspires youth, according to the group’s president, senior physics major Derik Bullard. "We enjoy sharing knowledge with others and learning science at school and scientific locations." "One of the main benefits is that SPS chapters that win this award can apply for special scholarships and grants to help fund further involvement and outreach," Wallace said. 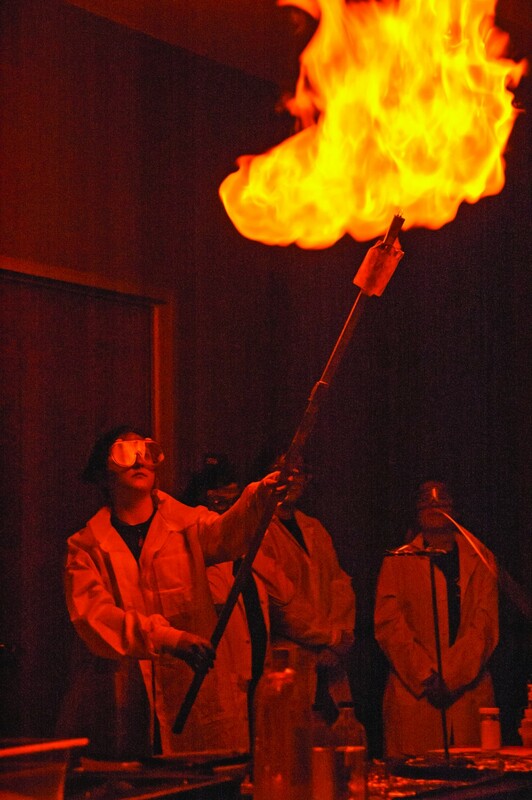 The ASU chapter’s activities are led by its Peer Pressure Team and include the annual Physics on the Road tour, which has been conducted every summer since 2005. "We earned the Outstanding Chapter Award for our annual road tour," Bullard said. "At the end of the academic year, the week following finals, a group of about 12 students, accompanied by an advisor, will go out to a scientific location. Recently, the last two years, our destinations were the McDonald’s Observatory and LIGO (Light Interferometer Gravitational Wave Observatory) in Louisiana." On the tour, the group usually stops at elementary and high schools to give physics demonstrations, Bullard said. The Physics on the Road tour takes place during a full week in May when classes are not in session at ASU, Wallace said. "The SPS loads a trailer full of physics demonstrations, travels about 1,000 miles around Texas and gives physics demonstration shows to K-12 students in their school auditoriums or gymnasiums." "[Last year’s] group of students ran the Physics on the Road tour with minimal faculty involvement. They were an autonomous bunch with great work ethics." The students who earned the award are enthusiastic about physics and eager to share their knowledge of the subject, Holik said. "It’s a significant body of volunteer work that these kids have traditionally put forth. I’m extremely proud to be the SPS sponsor, spreading physics cheer for all to hear." In 2017, the program, which has won multiple grants and awards from the SPS National Council and American Physical Society, was presented to over 1,100 students, teachers and parents at multiple school districts.